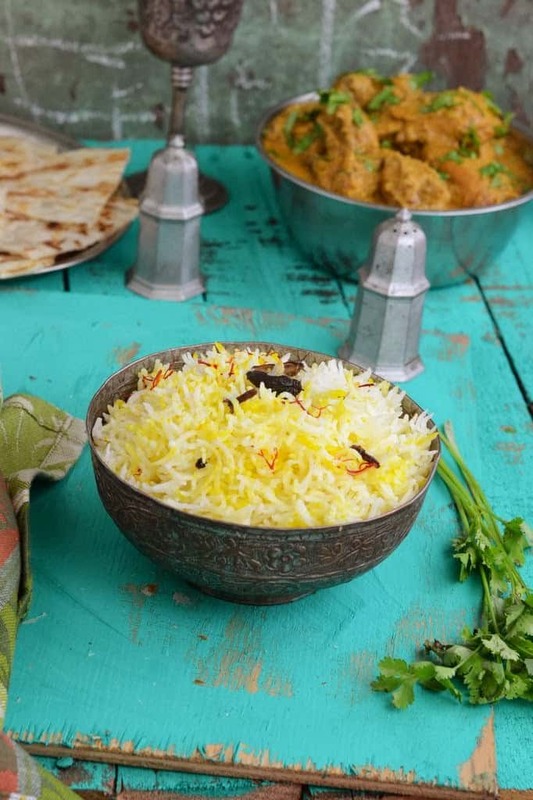 Zaffrani Pilaf is a mildly flavored saffron rice that is the perfect foil to rich curries. 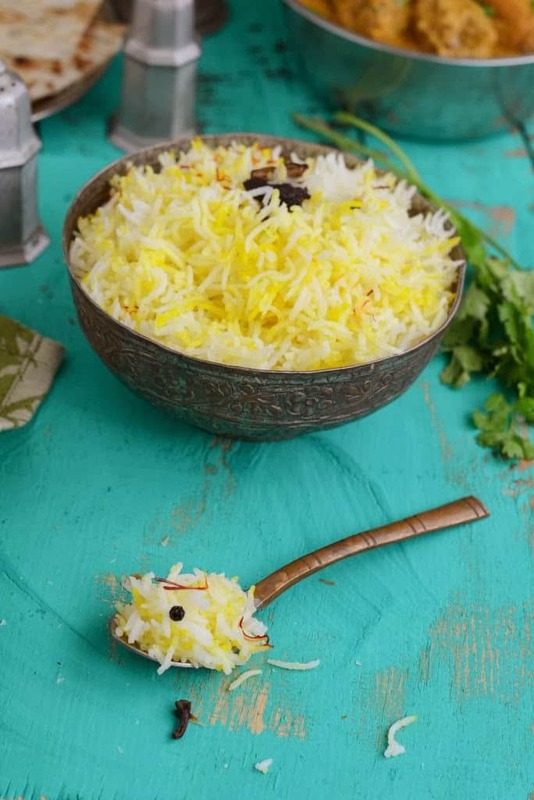 Basmati rice when cooked with saffron and other spices taste beautiful and makes for the perfect rice dish when the family gets together. 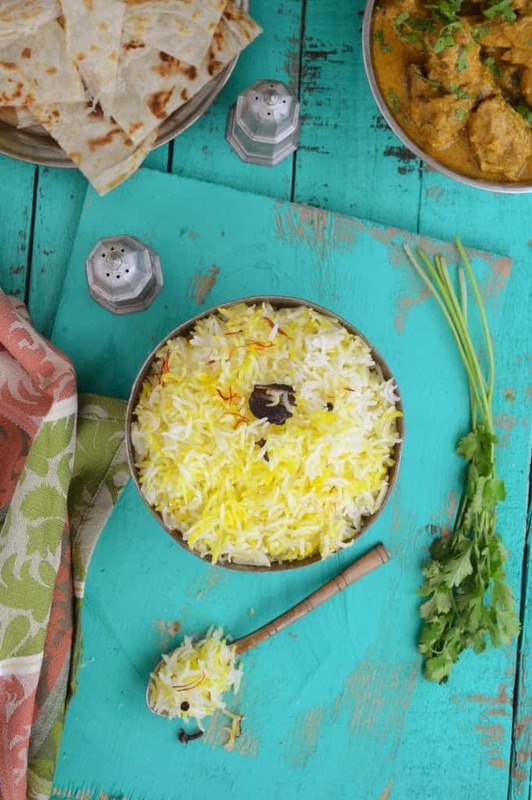 This Zaffrani Pilaf is super easy to make and is a sure shot winner. Serve it with Shalgam Gosht or Mutton Curry, vegetarian Achari Chole or any other curry of your choice. These will only serve to enhance the taste of the dish. Wash and soak the rice for 1/2 an hour. Add ghee in a pan. When the ghee is hot, add cloves, black cardamom and peppercorns. Drain the rice and add it in the pan. Add a little less then 2 cups of water. Cover and cook on low heat till rice is 90% done. 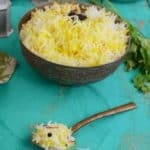 Sprinkle the saffron soaked milk and a pinch of yellow food color on top. Cook for another 3-4 minutes on low heat. Fluff the rice with a fork. Serve hot with any curry of your choice. Looks amazing! Great pics, thanks for the recipe.